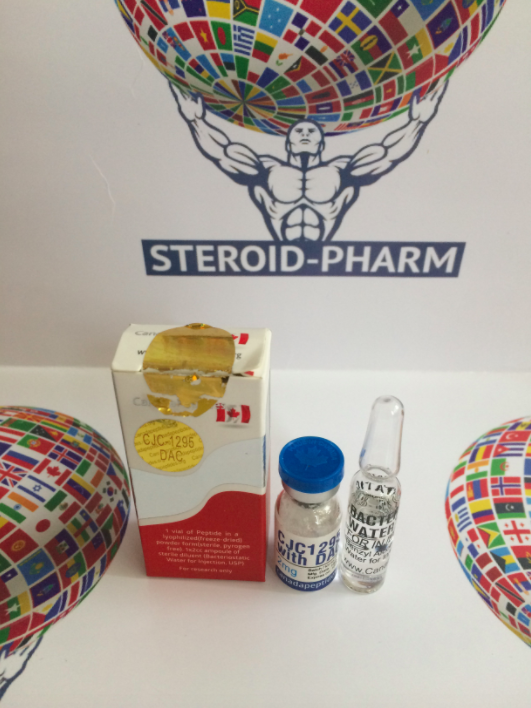 It is an injection peptide consisting of 30 amino acids, which increases the production of its own growth hormone (GH). In addition, its concentration in the blood will be pulsed, as close as possible to the natural curve. Get competent advice and buy CJC 1295 DAC at a bargain price you can in our online store. We would like to draw your attention to the fact that peptides CJC 1295 DAC and CJC 1295 (without or without DAC) are not the same. The first has a long period of life - about two weeks, the second breaks down in a few hours. The choice of substance depends on the scheme of reception. A long period of action and stability contribute to the increasing popularity of CJC 1295 with DAC. Numerous reviews of athletes confirm its effectiveness and safety. Increases the density of bones. The pumping effect is a natural sensation during the entire period of application. The most effective is the following scheme: injection of 1000 mcg (1/2 vial) twice a week. To enhance the effect, in addition to regular strength training, it is better to stick to a diet, and also to use sports nutrition products to achieve the goals as soon as possible. The most effective combination is the simultaneous administration of CJC with GHRP-2 or GHRP-6. These two drugs mutually potentiate each other's action. This indicates that the properties of these substances are an order of magnitude higher than the sum of the effects for each of the preparations. 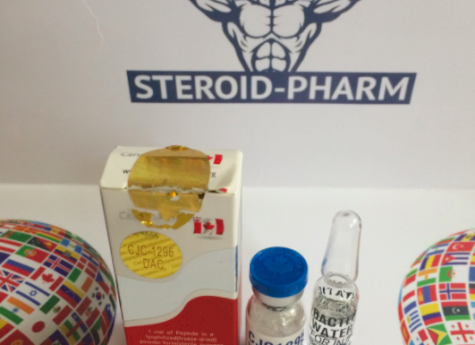 Thanks to the synergistic effect, you can save your money and get more anabolic response. GHRP-2/6 on 100 mcg three times a day. CJC 1295 DAC at 1000 μg twice a week. It is recommended to begin to wait until the ampoule is warmed to room temperature and only then to enter the necessary amount of water for injections (it must flow down the ampoule wall). The resulting solution can not be shaken, it should be stirred by rotating movements. You can leave it in the refrigerator for up to 8-12 days. This is more than enough to completely dissolve the substance. To obtain a solution, it is recommended to use bactericidal water, which increases shelf life up to 30 days.